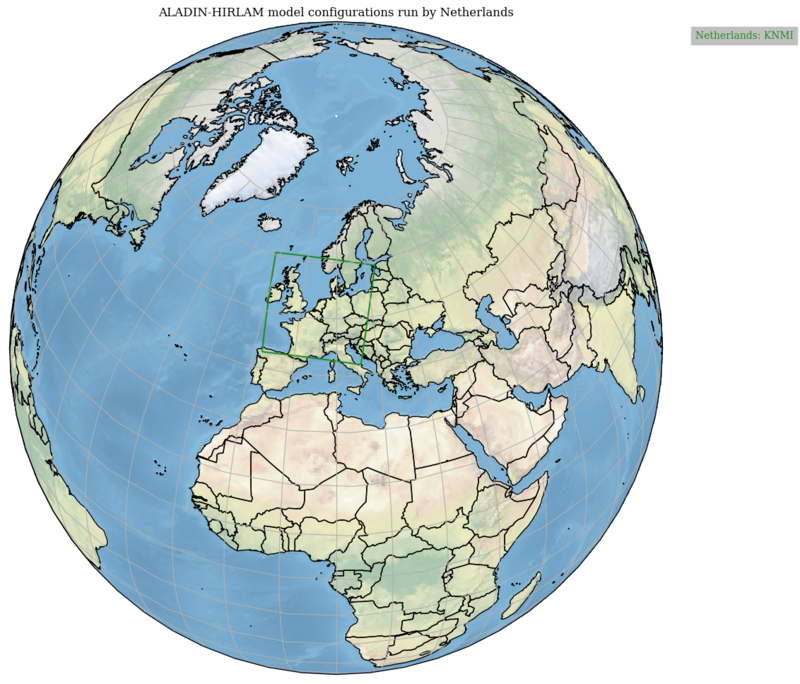 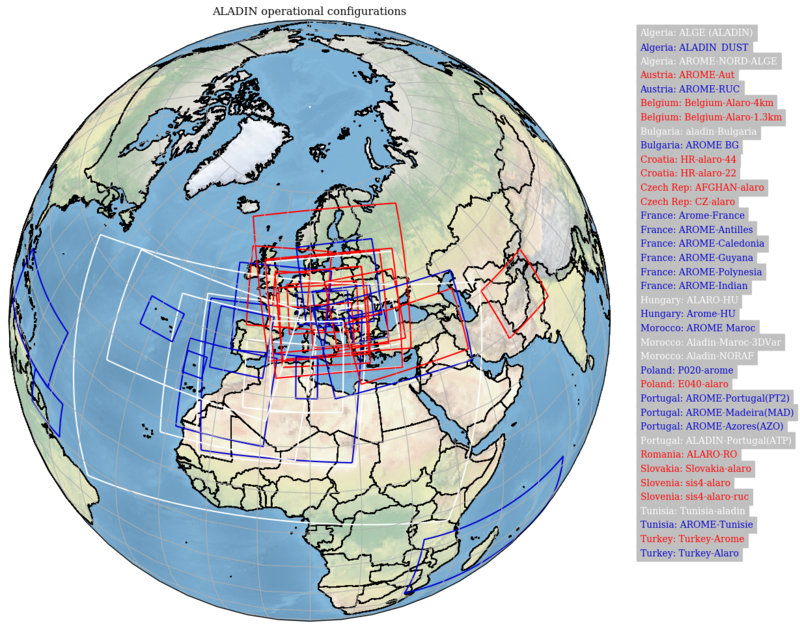 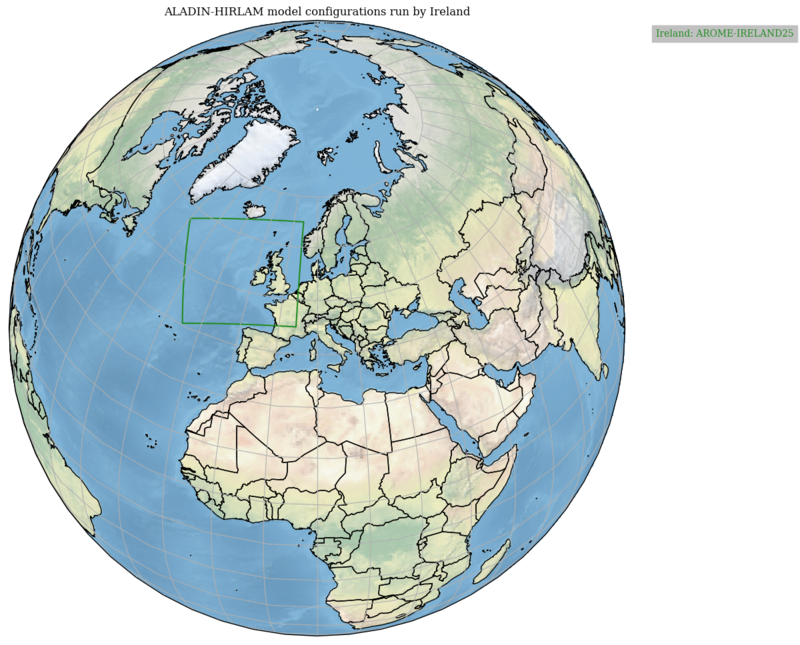 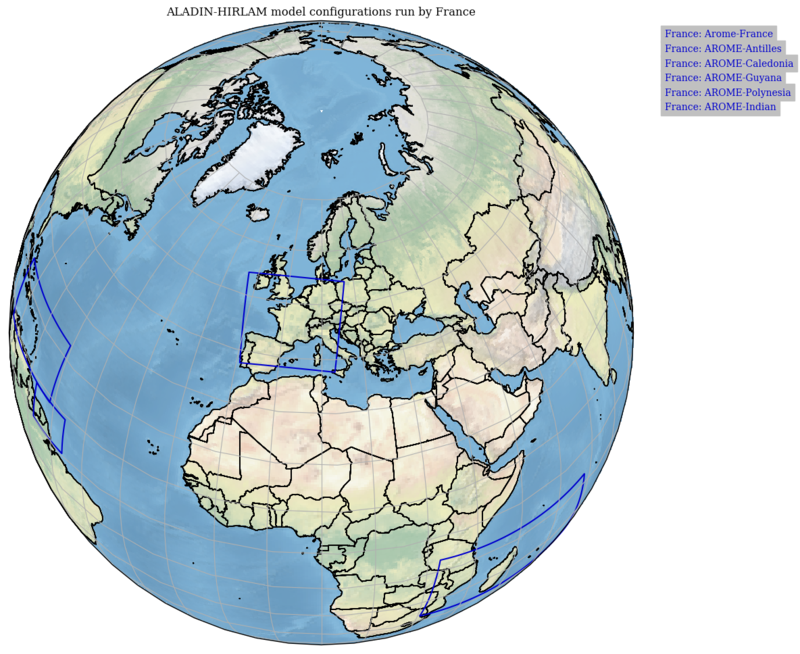 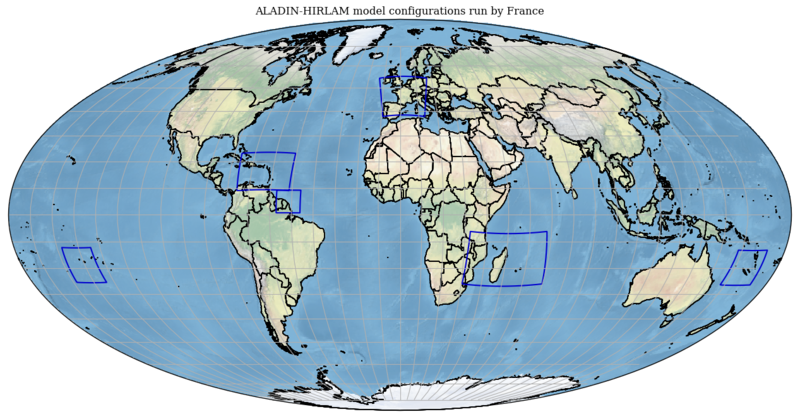 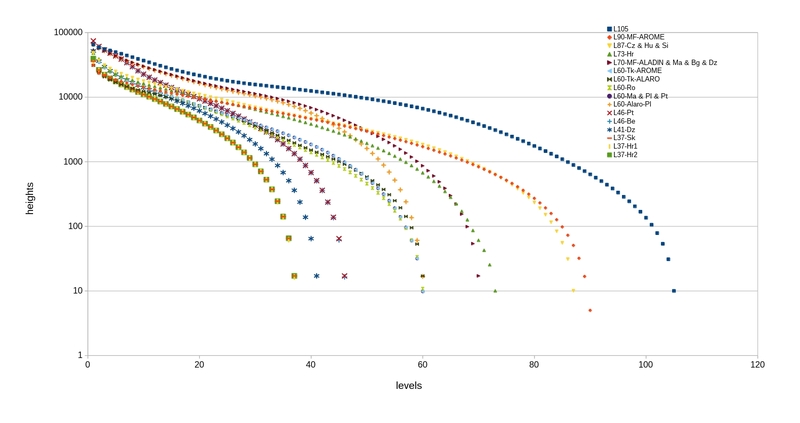 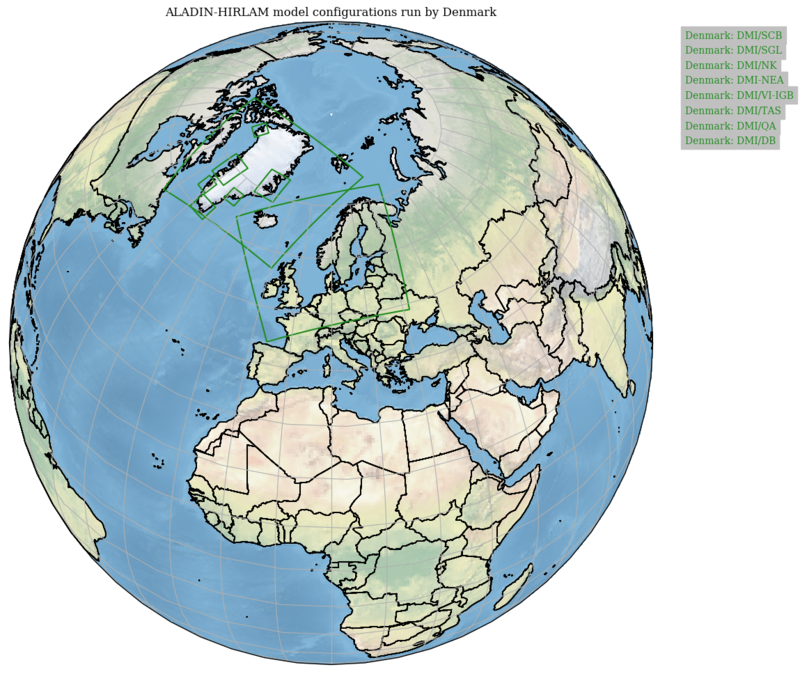 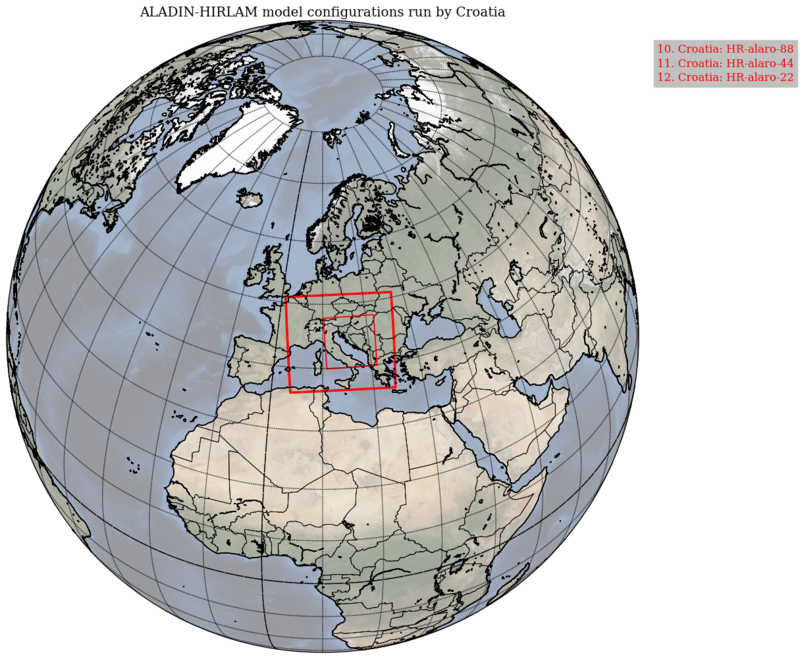 Within ALADIN and HIRLAM Consortia, the 3 CMCs (ALARO, AROME, HARMONIE-AROME) and the ALADIN configuration run operationally on a wide range of computers, from single workstations to vectorial computers in shared or distributed memory, and on a cluster of workstations under Linux. 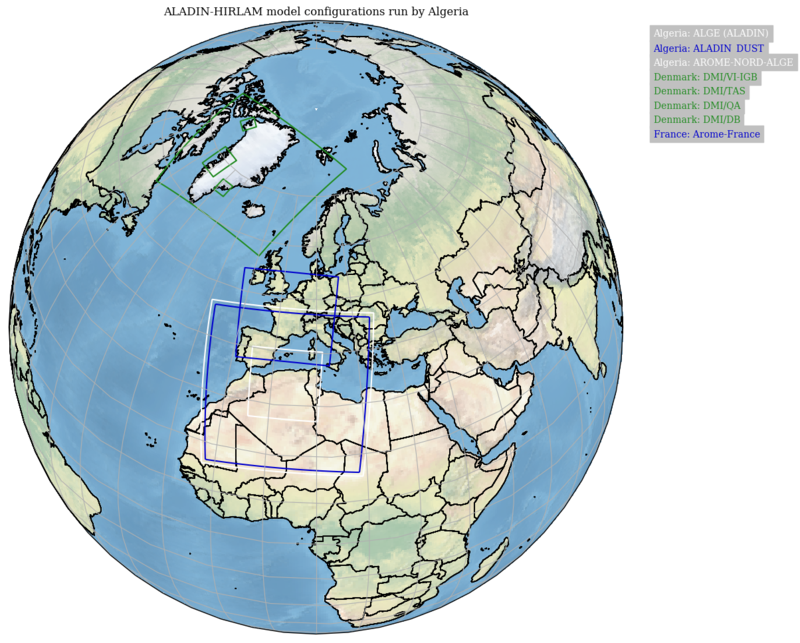 The table in the joint document summarizes the main data of the 47 main configurations operational in ALADIN/HIRLAM. 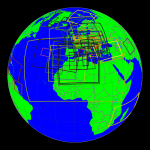 Details on hardware platforms for operational and post-processing suite. 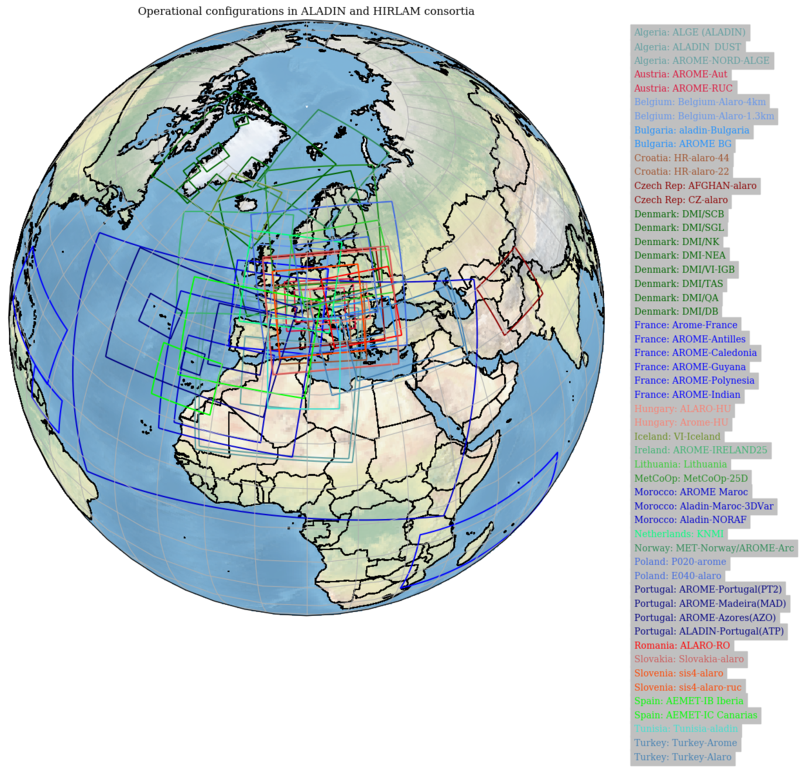 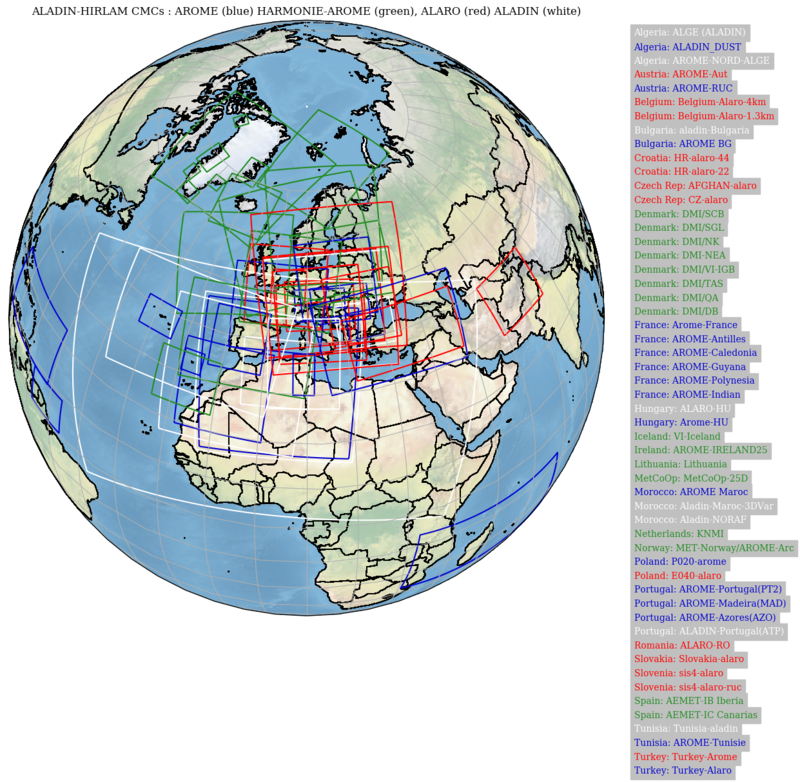 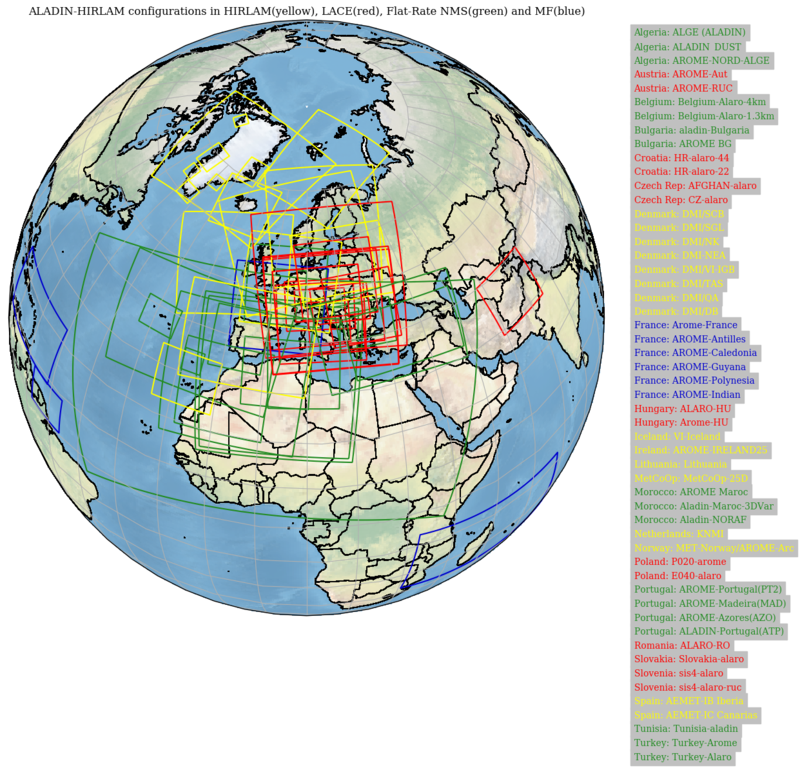 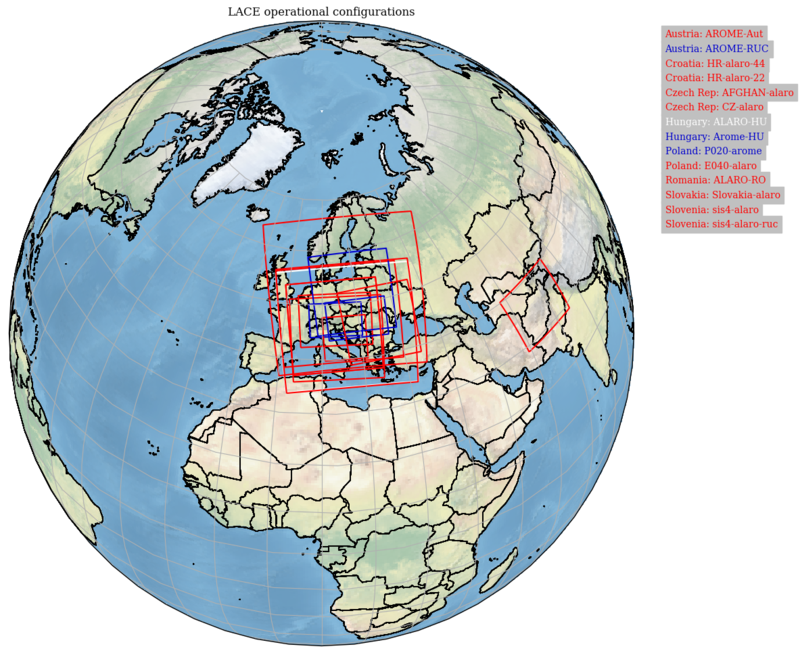 See also the summary (as of Nov 2018) : "EUMETNET-SRNWP Overview of Operational Numerical Weather Prediction Systems in Europe, deterministic models and Ensemble Prediction Systems".